A man and his daughter, two victims of the US-Bangla Airlines aircraft crash, were laid to eternal rest at their Nagarhawla village home in Sreepur upazila of Gazipur on Tuesday morning, UNB reports. 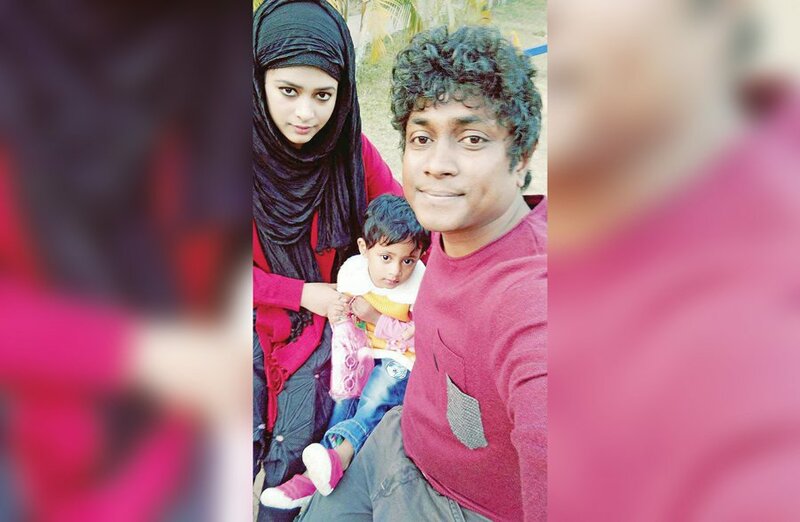 Prior to that, third and fourth namaz-e-janazas of Faruk Ahmed Priok (BE0269054), 32, and daughter Tamarra Prionmoyee (BR0896359), 3, were held at Abdul Awal College Ground and Nagarhawla village around 9am and 11am respectively. Earlier, people from all walks of life, including Sreepur Upazila Nirbahi Officer (UNO) Rehana Akter, paid their last tribute to them on the premises of Shaheed Minar of the college. The 2nd namaz-e-janaza of 23 Bangladeshis, including the duo, who were killed in US-Bangla plane crash in Kathmandu, was held at the Army Stadium in the capital on Monday. Earlier on March 12, at least 49 people, including 26 Bangladeshi nationals, were killed as the US-Bangla Airlines aircraft crashed and burst into flames at Tribhuvan International Airport in the capital of Himalayan county Nepal.